Been a little quiet on the blog side of things recently, as uni deadlines are looming... But I'm trying my best to keep on top of work and the old bloggio. After all, it is a nice escape from the books! Currently in love with this skirt from 'Glamorous' at ASOS. It provides me with just the right amount of festive cheer and bright colour on these dark days! It's nearly the most wonderful time of year again! The Starbucks red cups are out, the sparkling festive city lights are shining and all the Christmas adverts are bombarding our televisions... All clear signs that Christmas is well and truly on it's way. I'm especially excited this year because being the youngest of four children, (I'm 21) there have always been some siblings missing from Christmas day... But amazingly, this year we will all be together! Bring on the family squabbles, laughs and the games of Cluedo and Monopoly I'm going to make everyone play! This is by far one of the best tartan skirts I've seen. They often remind me of school skirts but this one is gorgeous! The skirt looks lovely on you! I hope everything is going fine with your uni deadlines. Have a great weekend, girl :). Lovely look! The belt is amazing! 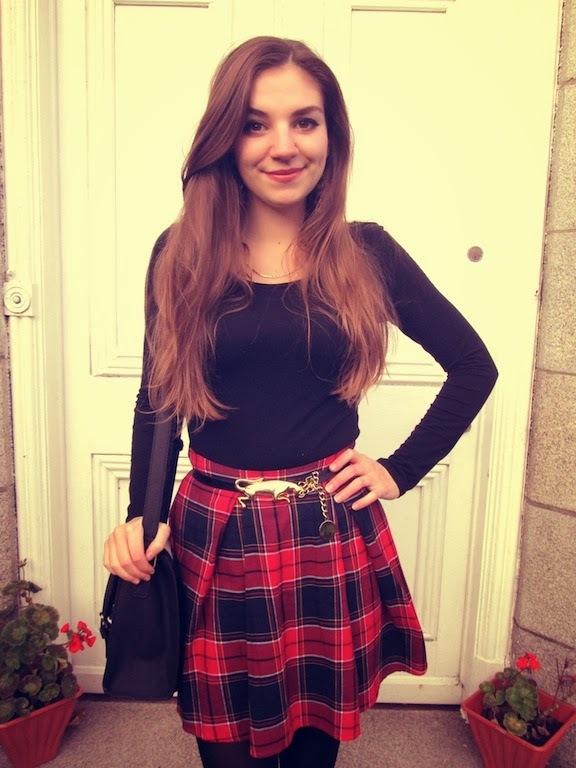 Love the belt and the tartan skirt! Your blog is amazing! Thanks for stopping by, following you back! beautiful skirt, and such a perfect fit with that belt. It is a beautiful skirt and the belt is great!! I love the way you style the skirt ! The skirt looks amazing on you, especially with the belt! Beautiful! I really enjoy your blog so far and would love to follow each other--please join my GFC and I'll follow you right back! 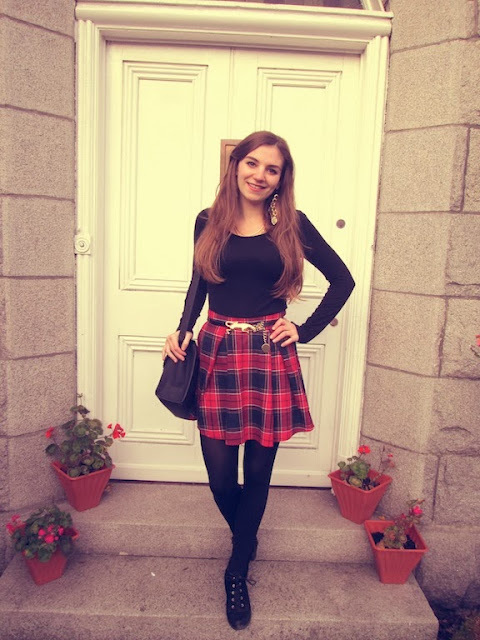 Love this plaid skirt! So perfect!! Love it so, so much!! Really incredible adorable dear. Hello dear, thanks for your visit. I'm now following you! Such a cute outfit hun; that skirt is lovely, congrats on hitting a 1000 followers; you got a new follower, hope you can follow back! that belt is amazing!! 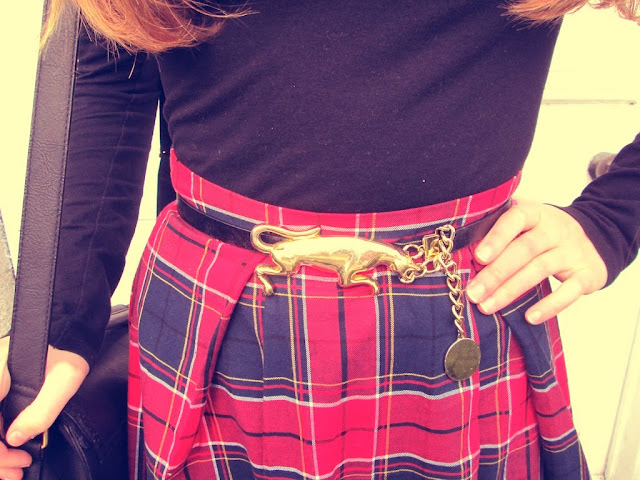 love the gold with tartan too. I just started following you and I'm loving your blog! I loveeee this look and you're such a beaut!